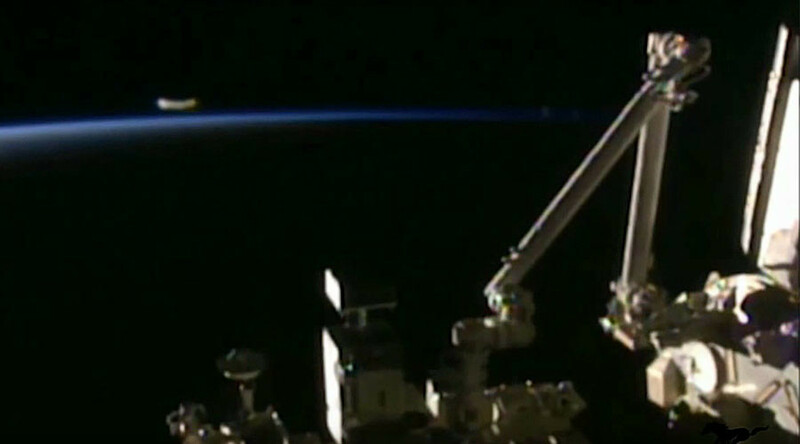 A NASA International Space Station feed which cut out moments after an unusual orb appeared on camera has fueled speculation of a UFO presence. The NASA footage was interrupted on January 20 with the message that the space station’s High Definition Earth Viewing experiment was either “switching cameras” or experiencing a “temporary loss of signal”. The measure led online bloggers and alien hunters to theorize about the origin of the strange object on the screen before NASA’s feed dropped. Online blogger Bright Insight told viewers that this isn’t the first time NASA has cut footage during a “UFO sighting”. He said the object in the latest feed was either secret military technology or an alien spacecraft. “I have seen myself, at least a dozen times, where there is video of some sort of object coming close to the International Space Station – moving around in many cases – and all of a sudden they just cut the feed,” he said. However, the reality seems to be a lot less alien, according to an online UFO sighting debunker. The owner of the popular UFO investigation blog, Scott Brando, pointed to a previous post about NASA footage in which lens flares can clearly be seen. While a number of people truly believe in alien encounters, YouTube is also littered with hoax UFO videos. Brando said the main reasons could be financial. “The main reason is the gain offered by YouTube Partnership Program. More views equals more money. There are several YouTubers use this system,” he said. Not convinced of lens flares? Then take the RT to poll to have your say.